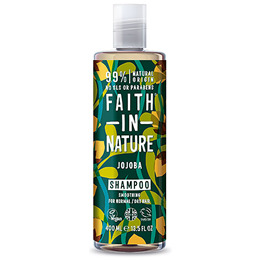 This refreshing shampoo is a blend of jojoba and seaweed with panthenol (pro-vitamin B5) known for its rejuvenating qualities. Wakey wakey! 100% natural fragrance, with essential oils. Free from parabens and SLS. 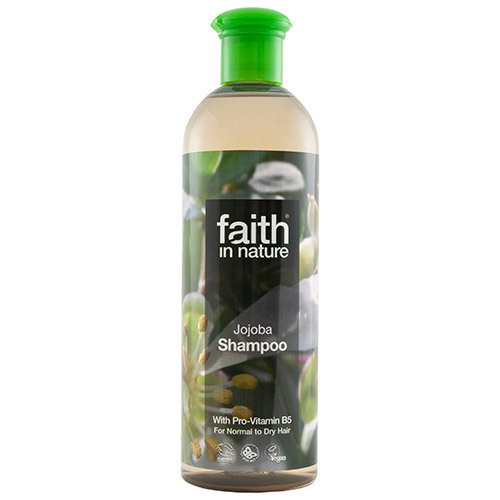 Below are reviews of Faith in Nature Jojoba Shampoo - 400ml by bodykind customers. If you have tried this product we'd love to hear what you think so please leave a review. Smells incredible! So soothing, I love it. Cleans my hair really well too. OK prefer others in range. Really nice shampoo with a lovely smell. I only gave it four stars as it's been making my scalp a little itchy, but I am hypersensitive right now after a recent allergic reaction, so it could just be me, it's certainly not enough to stop me using it as it's so nice. Great product at reasonable price with quick and efficient service. Very good shampoo, hair feels clean, soft and light after using it. My grown up daughter really likes it as well. This seems to really clean my hair without leaving residue or drying it out.